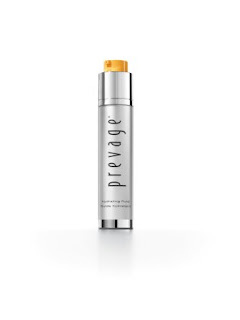 From the minute it landed on beauty counters worldwide PREVAGE was a huge hit, and with good reason. The efficacy of the original product was second to none, and the additions to the range that have followed have been hailed as some of the most important skincare innovations of the past few years. Its main target in the quest to slow down the ageing process of the skin is environmental threats, which are a leading force in signs of premature skin aging. An amazing 80 per cent of all skin aging signs are due to environmental causes, which is pretty damn scary. Exposure to smoke, pollution and sun causes free radicals, which result in increased fine lines, wrinkles, skin dryness, and uneven skin tone – none of which I want to sign up for in a hurry! PREVAGE’s newest addition in the battle against the aforementioned environmental beast is known as Hydrating Fluid, and it’s an absolute wonder if you live in a humid city like Auckland. PREVAGE Hydrating Fluid delivers sheer, gentle moisture, infusing skin with vital ingredients that protect against environmental threats whilst staying ultra light on the skin. The silky, fast-absorbing formula is perfect for someone who prefers a lightweight moisturiser, has combination, oily or sensitive skin, or lives in a humid climate like mine. Like all in the PREVAGE arsenal it has as a key ingredient Idebenone, the single most powerful antioxidant with an EPF® rating of 95 out of 100. The advanced delivery system helps combat environmental stress and repairs the look of skin over time, as the addition of the antioxidant Thiotaine means that PREVAGE Hydrating Fluid provides a time-release reservoir of Idebenone within the skin. It also includes a Soy Protein and Peptide Complex that works in the skin’s surface layer to support skin’s healthy barrier to promote moisture retention.